The most awaited Pattaya Grand Sale is here again. 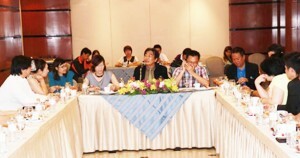 Deputy Mayor Ronakit Ekasingh recently announced the Pattaya Grand Sale for 2013. This offseason sale is the best medium to attract tourism in the slack period. It is mostly targeted to domestic travelers or offbeat international travelers. This Sale promises exciting offers and savings of up to 60 percent on hotels room, 50 percent at golf courses, tourist attractions and 20 percent at the restaurants. 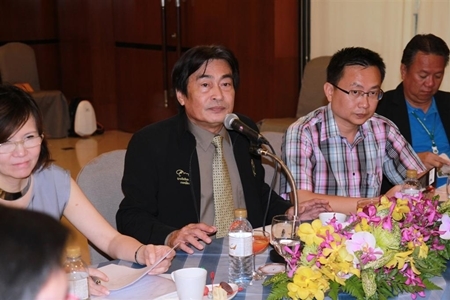 Majority of regional business, tourism, sports and hotel associations presented their participation in the grand sale and a low-season campaign was announced at the Long Beach Garden hotel April 29 2013. More than 70 hotels are estimated to participate this year, along with members of the Pattaya Restaurant Club and tourist attractions such as the Khao Kheow Open Zoo, Tiffany Show and area golf courses. The sale is destined to last from 15th July to 30 September 2013. The initiative is supported by Tourism Authority of Thailand and Chonburi provincial government. It is an exciting time for the tourism industry and we expect this year’s Pattaya Grand Sale to be a much bigger success. Hope all the travelers and adventurers out there are listening! So come along and make the best of this golden opportunity. To know more or make bookings contact the city call center at 1337 or go online to Trip2Pattaya.com , where you can also obtain a discount card. « You Are the Wind under My Wings: Happy Mother’s Day!